CRIMEA, Ukraine -- The NGOs say torture is systemic, and a part of the policy Russia has imposed over the occupied territory. Russia this year is presenting its 6th Periodic Report to the UN Committee against Torture, while Ukrainian human rights NGOs offered a devastating "alternative report" on Russia’s application of torture in the occupied Crimea. The report covers the situation since Russia’s invasion and annexation. It paints a stark picture of Russia’s use of torture to intimidate their victims and extract "confessions," according to the Kharkiv Human Rights Protection Group. The NGOs’ monitoring efforts have led them to conclude that torture is systemic, and a part of the policy Russia has imposed over the occupied territory. Since Ukrainian NGOs were also monitoring the situation before annexation, they are in a particularly good position to assess just how radically things have deteriorated since the last report presented by Ukraine. Their report includes many cases, especially in the first months after Russia’s invasion, where it was the so-called "self-defense" paramilitary groups, controlled by Russia, that committed crimes involving torture and inhuman treatment. Neither in these cases, nor in those where the FSB [Russian security service] and its subordinate structures were involved, has there ever been any adequate investigation. This includes the multiple cases of abduction and enforced disappearances, including that of solitary protester Reshat Ametov. The 39-year-old Crimean Tatar father of three was seized by paramilitaries near a local parliament on March 2, 2014, and savagely tortured to death. Despite video footage of the abduction, there has never been any real attempt to even formally identify the culprits, let alone hold them to account. The NGOs stress that Russia’s policy of suppressing all opposition to the annexation move was launched immediately and contributed to the dramatic deterioration in the human rights situation reported by numerous international bodies and NGOs. In November 2016, the Office of the Prosecutor of the International Criminal Court recognized Russia’s annexation and ongoing occupation of Crimea as an international armed conflict between the Russian Federation and Ukraine. Both in the 2016 and 2017 reports, the Office of the Prosecutor has listed alleged crimes believed to have been committed in Crimea, including harassment of Crimean Tatars; killing and abduction; ill-treatment in the context of detention or abduction; violations of the right to liberty and to a fair trial and forced conscription. 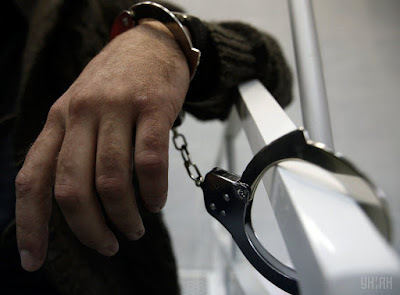 The Ukrainian NGOs have documented 106 cases of torture committed by members of the Russian law enforcement agencies and Russian-controlled paramilitary structures. Although torture is most often used to extract confessions or false testimony in politically motivated cases, the NGOs stress that essentially anybody can become a victim. Ukraine’s Ombudsperson has only once between allowed to visit a few prisoners in Crimea and the International Committee of the Red Cross has also been denied access.